Sometimes services such as veneers or whitening are simply not enough to restore a damaged tooth to complete functionality. At Encino Dental Health and Cosmetics, we offer a variety of crowns that are designed to restore your tooth to its original appearance, both in its shape and its size. Talk to our Encino dentist today to learn more and set up an appointment! Porcelain is typically the material used in crowns since it is extremely durable and closely resembles the appearance of natural teeth. Our dentist will meet with you to create a mold of your teeth and then design a crown that will fit perfectly over your tooth. To get started, call us today at (818) 788-1181. We provide cosmetic dentistry to achieve your optimal dental health. We look forward to serving you and giving you a healthy smile. 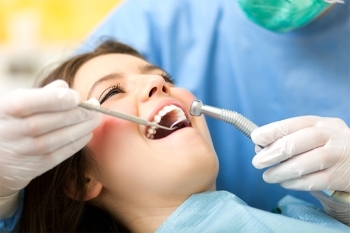 Our friendly staff provides complete dental care for your entire family.